Lindsay Tigue is the author of System of Ghosts, which was the winner of the Iowa Poetry Prize, was shortlisted for Julie Suk Award, and was a finalist for both the Foreword INDIES Book Award and the Eric Hoffer First Horizon Award for a book by a debut author. She was also one of 100 doctoral students in the U. S. and Canada selected to receive a $15,000 P.E.O. Scholar Award in 2018. Tigue writes poetry and fiction and her work appears in Prairie Schooner, Blackbird, Verse Daily, Poetry Daily, Rattle, diode, Indiana Review and Hayden’s Ferry Review, among other journals. She was a Tennessee Williams scholar at the Sewanee Writers’ Conference, a James Merrill fellow at the Vermont Studio Center, and a former assistant to the editors at the Georgia Review. She is a graduate of the MFA program in Creative Writing and Environment at Iowa State University and is a current PhD candidate in English/Creative Writing at the University of Georgia. 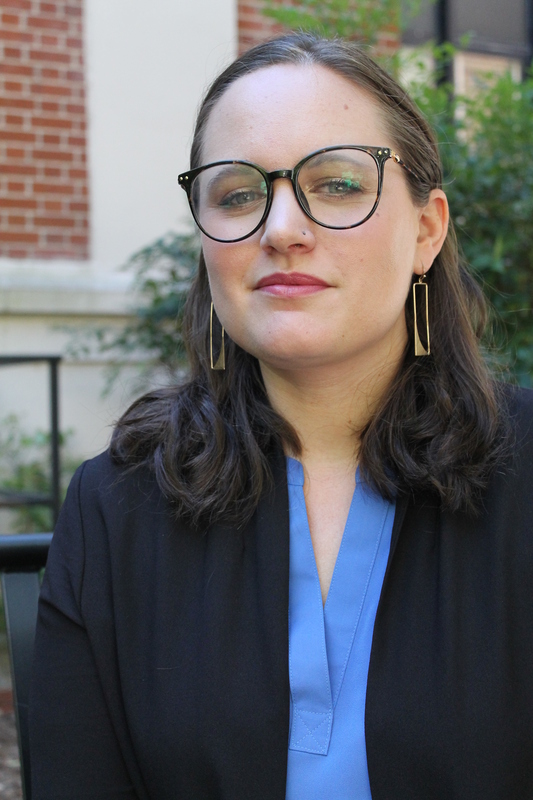 Beginning in August 2019, she will be an assistant professor of Creative Writing and English at Eastern New Mexico University. Author photo credit: Madeline Laguaite.